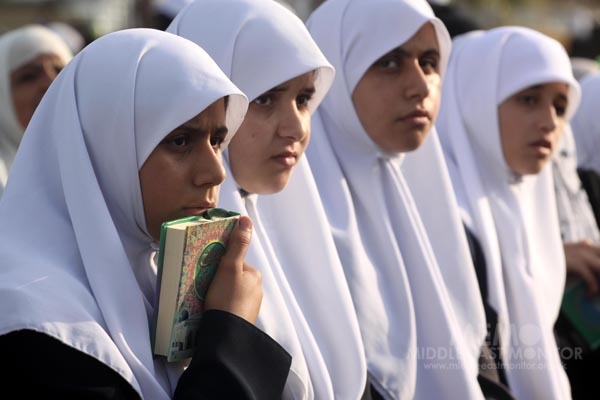 A celebration has been held in Gaza for 13.000 Palestinian students who memorised the whole Holy Quran during their summer camp this year. The memorisation programme was a project initiated by the Ministry of Awqaf and Religious Affairs. 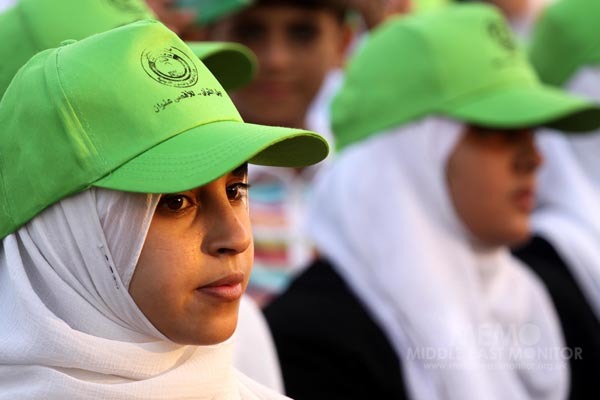 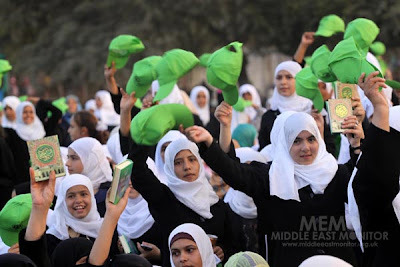 The achievement of the students has boosted the morale of the people of Gaza, many of whom have said that this is a positive response to events such as the desecration of a copy of the Quran in front of the White House recently, as well as many other widely publicised attempts in America to defile the Holy Book. 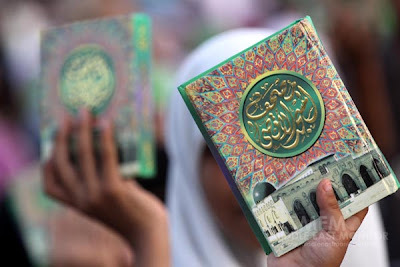 Those who have memorised the whole Quran will find that it is a source of comfort and blessing in their daily struggle to live a normal life in besieged Gaza. 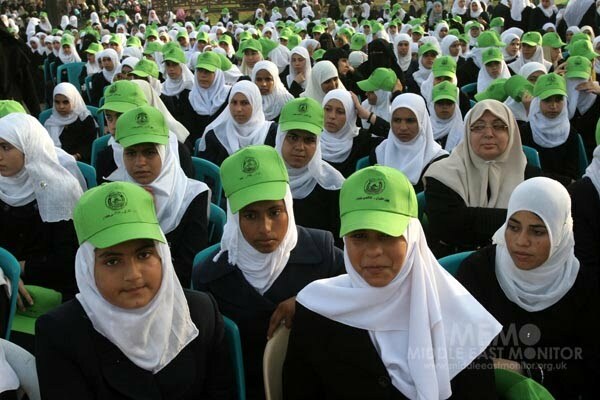 Shaikh Ismail Haniyeh, the Prime Minister of the Palestinian government in Gaza, joined the Minister of Awqaf, workers from his ministry, parents and others to congratulate the students for their diligence and achievement and to pray collectively for the preservation of the Palestinian people and their homeland. 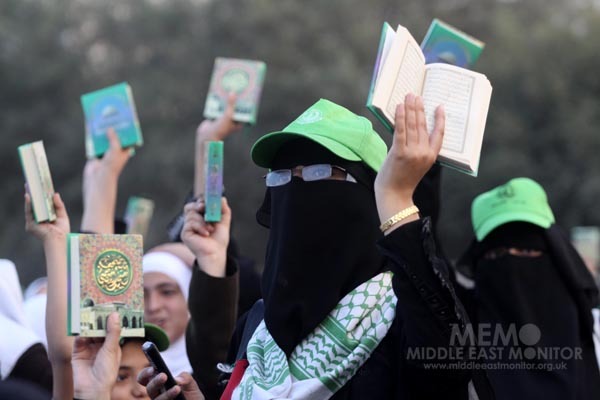 It was also announced that as a result of this successful project, the Ministry of Awqaf plan is that by the end of next year there should be at least one Hafiz (memoriser of the Holy Quran) in each family in Gaza, Insha’Allah (God-willing)!